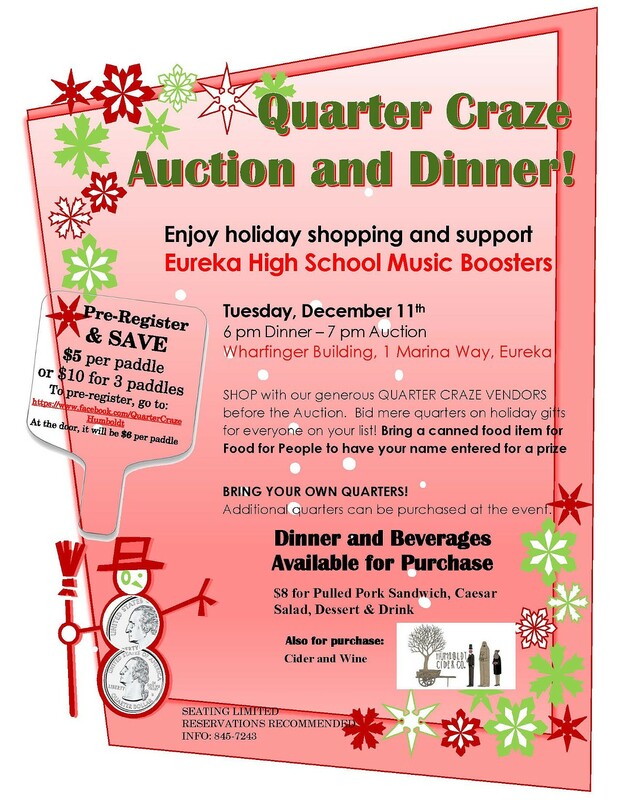 Enjoy holiday shopping while supporting the EHS Music Boosters at the Quarter Craze Holiday Auction and pulled pork dinner. Shop with our generous vendors and bid mere quarters on holiday gifts for everyone on your list. Cider and wine available. Pre-register and save. $5 per paddle or $10 for 3. At the door it will be $6 per paddle. Let the bidding begin! Bring friends, quarters and a bit of luck! 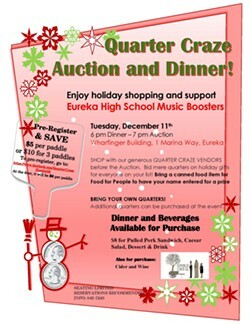 Additional quarters can be purchased at the event.